Over the course of the twenty-five or so hours I’ve currently spent with Toukiden: Kiwami, I’ve experienced a creeping sense of familiarity. This is odd, because as I mentioned during my gameplay videos (found here), I have not played more than the demo of either Toukiden: Age of Demons (the original game), or Monster Hunter. While I have played - perhaps too many - of Tecmo Koei’s Warriors games, there are real no similarities here beyond the graphical style. It then occurred to me, that when you strip away the surface layers, and reveal the naked gameplay beneath, the core of Toukiden is not too distant from Destiny. I suspect this holds true for the Monster Hunter games too, but again my experience is limited in that area. Both Toukiden and Destiny rely upon a grind, the playing of hours of content you’ve already seen. Destiny is a bizarre case because hitting the ‘soft’ level cap of 20, took me less than seven hours and was achieved by merely completing all the content in the base game once. After hitting level 20, the game takes a sharp turn and so begins the grind for Light. Light is a stat found on level 20+ armour that can elevate your level up to 32 (30 prior to the first expansion), Light can also decrease when you change armour, which is demoralising to say the least. In order to level gear up and gain more Light, the armour and weapons must be used for hours, you can be smarter about what you do in Destiny to minimise the time taken, but the process remains a long one. Longer still if you have to grind the randomly appearing public missions for Ascendant upgrade materials. 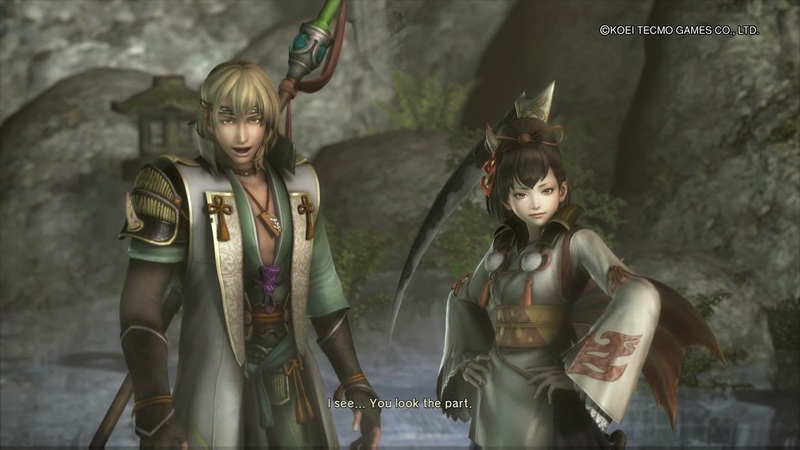 In Toukiden you don’t have a level at all; everything is dependent on your weapons, armour, and skill. While new base weapons can be purchased each chapter using Haku (the currency), the more powerful gear, relative to where you are in the story, must be crafted, using materials recovered on the battlefield. While the difference between the two approaches may not be readily apparent; Destiny rewards your time above all else, you still acquire materials but their use is very different. In Toukiden every enemy offers something potentially useful, from the lowliest imp to the tallest Harrowhalf. 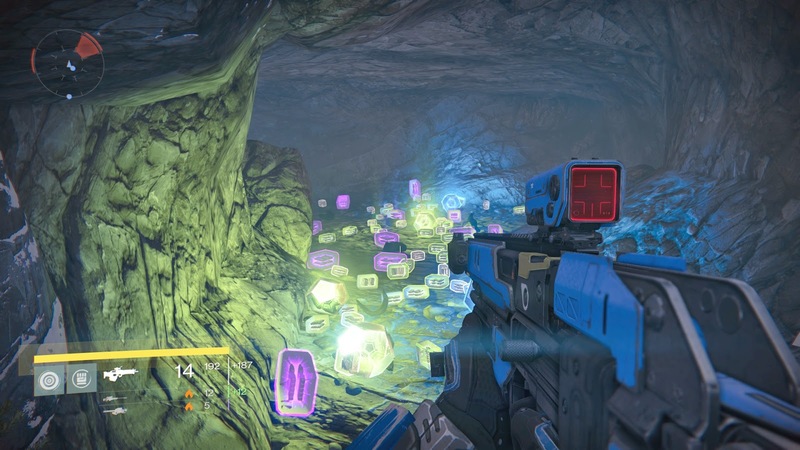 People - myself included - spending hours in the now infamous ‘Loot Cave’ wasn’t just ridiculous, it uncovered a real problem in Destiny’s progression. The loot cave quite clearly wasn’t the most efficient way of acquiring better gear, but due to the sheer volume of kills there was a higher chance of scoring legendary engrams. It was intrinsically more rewarding than spending hours, or days acquiring reputation and marks (faction specific currency) to purchase better gear. Reputation and marks are on their own, nothing more than a barrier, which at times can seem insurmountable, not aided of course by the weekly caps that further slow progression. Furthermore, Destiny lacks variety. A large percentage of Destiny’s armour is virtually indistinguishable, or if it is distinguishable it is likely because it came from a vendor - meaning everyone else in the class is probably wearing it too. The same goes for the weapons. The exotic gear by its very nature is more unique, the weapons offer some genuine changes to the otherwise very predictable weapons classes. But even the exotics suffer from their limited number and even within this already small pool, some gear is regarded far more highly than others. As a result these items become increasingly commonplace. The restriction of only being able to equip one exotic armour piece and one weapon at a time alleviates this issue somewhat. Toukiden’s gear is much more visually unique and often times resembles, or at least incorporates elements of the creatures you killed in order to craft it. That you quite literally have to cut up a creature to acquire the materials, is made all the more tangible by the visual representation. There are real stories that can arise from that, real tales of how you earned your gear. Whereas in Destiny, the story is pretty much always, ‘I bought it from Xur.’. The nature of the crafting system also means that you can target the creature and even the specific part of the creature you require to craft a piece of gear. You need two Manhunter claws to craft the swords you want - go cut the claws off a Manhunter. There has only thus far, been a handful of times I have replayed any scenario in Toukiden to acquire the materials I needed, and fighting a creature again is actually what makes Toukiden so rewarding. 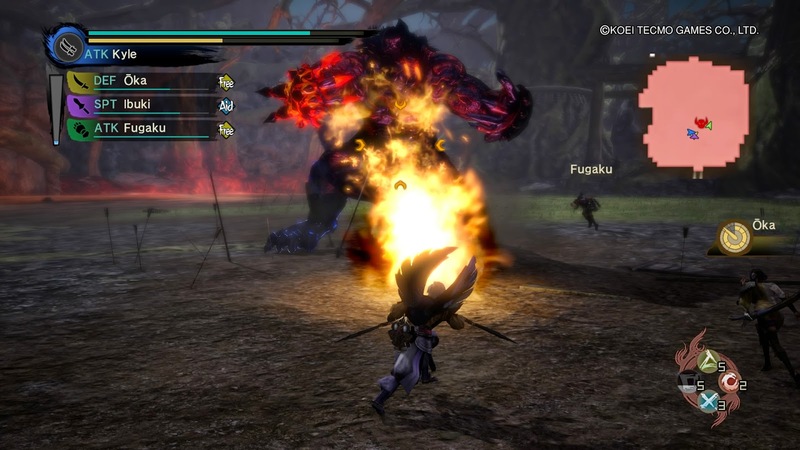 Earlier I referred to Toukiden as a game all about a grind, this is true in that you do encounter the same creatures in a limited pool of environments, over the course of many hours. I am currently only at Chapter 6 of Toukiden, and only over the few last chapters has it begun to offer a real challenge. That’s not to say the content wasn’t engaging, but death wasn’t my immediate concern early on, which is also true of Destiny. Toukiden has an excellent learning curve, it reveals its lessons at a very natural pace. I am not referring to the overt tutorials, but rather how to read an Oni; the monsters reach, speed, the tell-tale signs it will make an attack, and what form that attack will take. It is why encountering the same Oni again hasn’t yet become tiresome; each is so different from the others, you want to fight it again to learn further, to hone your form and tactics. That said, the real challenge doesn’t manifest until Toukiden throws two Oni at you at once. These fights can grow quite lengthy, just like the boss fights in Destiny’s Strikes and Raids. In Destiny these are (with the exception of the Crucible) the most engaging fights. They can be intense; depending upon the mission, level of difficulty, and the players you are matched with. My fondest memories of Destiny are those of difficult Strikes, specifically when a player leaves prematurely and it becomes a true struggle. This challenge is in spite of the actual design though; Destiny’s enemies are bullet sponges that require very little study, simply discover their weak point (usually the head) and keep shooting. The Fallen Walker, which isn’t even a boss, is perhaps the most strategically approachable enemy that I can recall. It has a range of attacks you can foresee in its movement, staggered states, and multiple weak points that can be destroyed and exposed. Oni Slayers have a cornucopia of tools available to them, I’ve long favoured the fast-hitting twin blades that allow my Slayer to leap up the bodies of Oni, or transform into a Beyblade-esque whirlwind of neon death. I have of course tried all the weapons and was pleasantly surprised by just how varied they are. Different attack speeds and ranges are a given, but the rifle for example has a reload mechanic which allows for different ammunition types to be loaded. The spear can halt a charging Oni in its tracks, staggering it. Many of the other melee weapons lack means to perform aerial attack, so while they inflict huge damage compared to the twin blades, they cannot engage taller, or flying enemies as freely. The weapons offer various styles of play that can be complimented by the Mitama, heroic spirits who grant special abilities and buffs. These abilities maybe cater to a damage dealer, healer, you catch an Oni in a trap, or make specific limb vulnerable, and so on. Destiny’s weapons are, with exception of some of the exotics, all quite conventional. There are four primary weapons; a heavy pistol, fully-automatic, burst-fire, and semi-automatic rifles. Three special weapons; sniper, shotgun, fusion rifle, and two heavy weapons; rocket launcher or machine gun. Though there is elemental damage which becomes more meaningful on higher difficulties, Destiny’s real gameplay options are drawn from how the player builds their character abilities. There are three classes available, each with two subclasses. I built my primary Guardian, a Titan, more defensively, using the Defender subclass whose special ability generates a protective bubble shield. But that is about as varied as you can get, the other classes and builds support variations of combat range; are you better up close, or at distance? 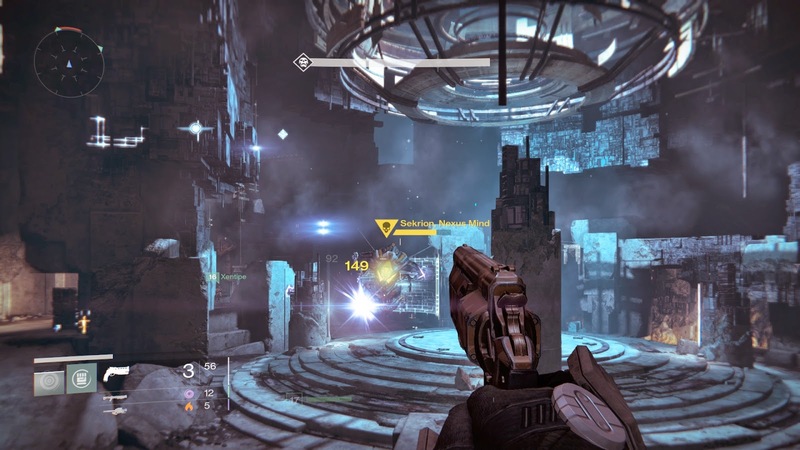 In Destiny everyone’s role is ultimately that of a ranged damage dealer. In terms of story it’s hard to point at a game more disappointing than Destiny, there isn't really a primary narrative. The fiction could be great, but the game is so afraid to embrace it, or perhaps just mistrusting of its players, that its hides the quality writing in mobile companion app. Toukiden is at first, a little too eager to share its own history, I feel the game talks a little too much in the opening hour or so, but beyond that point it evens out. It’s a story about the characters around you, and their hardships and friendships and it is well written, serving to drive me onward from chapter to chapter.